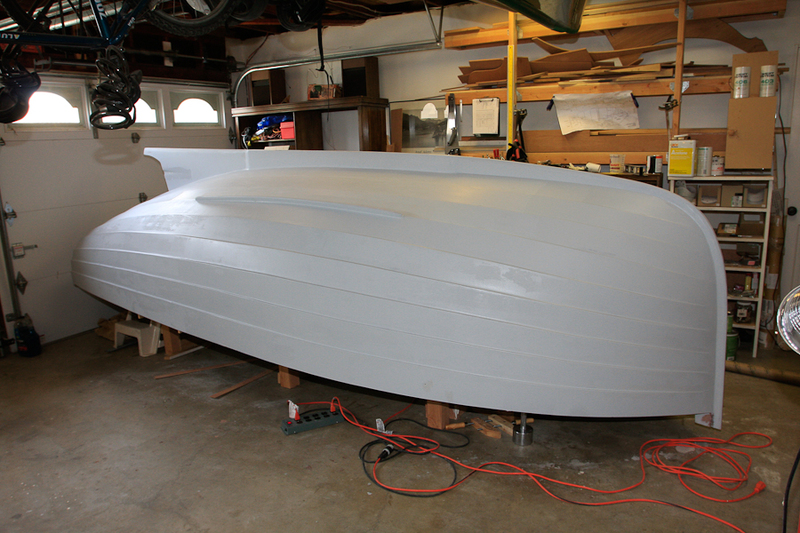 I painted several primer coats on the completed hull. I have more fairing and sanding to be completed, along with a final primer coat to come but I am a happy person at this stage of construction. He looks like a baby whale. Have you named it yet? It’s a she and I don’t think I will tell you just yet based on your description! :<) Part of the look you see is from distortion from the wide angle lense. Its a bit sleaker in real life then you see in the photo. I think once I put a coat of color on, I will shoot another photo with a standard lens so the boat lines will be more true to reality. Hope your neck is better still.